Getting books ready to publish – the long haul! I have published four books since last July. My latest, IXEOS, just got its official launch on March 10, 2013 (although it was technically published in mid-February, just before I left for Uganda). My husband has self published two books since last October, which I helped edit and produce. I have many more in the works for this year, and it looks like I’m already bumping production into next year with the addition of a couple of titles our publishing company is going to produce. All that to say, I have learned a thing or two about the process. And the one thing I can say definitively is, regardless of how long the actual process from writing to publication takes (weeks, months or years), it’s a long haul. I am in the midst of editing book 2 of the IXEOS Trilogy, IXEOS: Rebellion. I am writing a nonfiction book about homeschooling. I am going to start writing book 3 of the trilogy, Darian’s War, on April 1 (or thereabouts – I’ll be out of town then, so not sure if I’ll be able to start til the 4th) for Camp NaNoWriMo. Meanwhile, I’ve got two other projects from other people that I’ve agreed to publish under Ross James Publishing. Not to mention promotion and marketing and all that stuff. So what does it really take to get a book from your head to an ebook on a reader’s Kindle, or a paperback in someone’s hands at the beach? 1. Write. Obviously, the first step to writing a book is… writing the book. There are a lot of ways to go about doing that, and I’ve explored my own personal “do it really fast” style a’la NaNoWriMo here in other posts. Whether you’re a plotter or a pantser, no matter whether you outline and make index cards and use Stickie notes or a dartboard, the bottom line is you have to get the first draft done. Period. Until then, researching or spending time looking at self-publishing blogs is merely taking time away from your writing. Just do it! 2. Edit. The first draft is the F.I.R.S.T. draft. It’s not the final draft, or even the middlest draft. You will probably spend more time editing than you did actually writing, and most of us don’t think it’s super fun. But it’s super necessary, so you’ll have to do it. If you aren’t a good editor, you can hire one or find a friend or family member. There are different kinds of editing, though, so make sure you’re familiar with them. There are content or story editors, who aren’t so much looking at grammar as at your story as a whole, at the characters, at subplots you might have left hanging. These editors can help you polish your story into a bright and shiny gem. Then there are line editors (sometimes called copy editors). This kind of editing looks at dialogue, motivation, characterization, POV, showing vs telling, etc, and makes suggestions along the way, with a summary at the end. Finally, you can get a proofreader, sometimes (confusingly) called a copy editor also. This is editing for typographical errors, grammar problems, misspelled words, and the like. Word processing programs like Word and Scrivener have spelling and grammar checking tools, and you can use an outside program like Grammarly as well. NOTE that, if you run a piece through all three, you will get differing recommendations, and each program will catch misspellings and typos that the others didn’t. You still have to read and make decisions — don’t just take the program’s word for something, especially when it comes to grammar inside dialogue. My editing process involves a quick edit after the first draft is completed, read-throughs by beta readers (a couple of whom are great at content editing), a pen-and-paper edit followed by putting those edits into the document, then at least two more edits, followed by all three grammar programs, followed by at least one more read through. Yes, it’s very time consuming and repetitive, and yes, you still have to do it! 3. Cover art. I use a great company called Streetlight Graphics for my cover art and formatting. I am a nightmare at Photoshop, and am not a graphic artist, so paying one to do my covers is well worth the cost. After having a well written book, probably the most important thing you can do is to have a good, professional cover. Fair or not, people will pass over a book with an obviously homemade, unprofessional cover. That’s just a fact. If there’s one thing you should pay for, this would be it. Explore other books in your genre and decide what you do and don’t like. I’m really not a fan of people on my covers, other than in silhouette (and even then I don’t love it). If I have to have a person, I don’t want a head… I think the character should be drawn by the reader’s imagination, not the cover artist. You don’t have to agree with me — obviously, many don’t. But you do need to decide what you like, and then find a cover artist who will work with you to make that a reality. 4. Formatting. I read all the time, and do not doubt that it’s true, that you can learn to format your own books for print and ebook, and that, after a few books, you can do it in an hour. As I said, I don’t doubt it, and, if I were on an absolute shoestring budget, I’ll probably try and tackle it. Fortunately, my budget isn’t that tight, and Streetlight offers a package price to do the cover art, formating and an ad piece, so I let the experts do what they do. If you do it yourself, find some bloggers who do it and ask questions. Dean Wesley Smith does his own, and you can read about it on his blog. I think you can do all the ebook formatting using Calibre, but I don’t honestly know. If my life gets less crazy, I may look into it one day… but maybe not! 6. Upload the book. You will definitely want to upload to CreateSpace or Lightning Source to have a paperback copy of your book. I use CreateSpace and have had no problems with them, and they are owned by Amazon so getting your ebook up is pretty seamless. Both have a good reputation, though, so research which looks best to you, but only do one, because you only want one ISBN out there for paperback. CreateSpace takes a couple of days to get a proof to you. Many people order print proofs to go through; I use the digital online proof. Either way, check it and make sure it looks like you want it to, especially if you didn’t hire someone to format the print version for you. Next you’ll want to upload to Amazon. Amazon and CreateSpace are incredibly easy to use. All you need are your covers, your interior files, a blurb for your description, and your author bio. They lead you through the rest. You’ll be asked to decide if you want to participate in the KDP Select program. 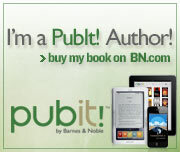 If so, you’re done uploading, because your ebook has to be exclusive with Amazon while you are participating. It usually takes about 8-12 hours, but can take up to a day or two, for your book to be live. Making your ebook exclusive to Amazon for a 90 day (or longer, if you choose) period. Getting paid from the Select Fund for all the borrows of your book. Amazon has a fund, usually about $700,000, that is divided by the total number of borrows for the month. Each author is then paid that amount times the number of borrows they had. So if you had 100 borrows, and the fund payout was $2/borrow, you’d get $200. Five free days are available to you for each 90 day period. This means you can offer your ebook to Kindle users for free. This apparently used to lead to a lot of follow-up sales, although the algorithms had changed a lot by the time I published my first book and I’ve never found that to be terribly true. But I’ve had a book get in the top 50 on Amazon’s free list, and that gets it a lot of exposure. I use the program as a loss leader, a business term meaning a product on which you are willing to take a loss because it drives sales to other products. Because I have two Quinn adventures, I enrolled the first one in KDPS twice, using the free downloads as a way to drive people to book two, The Hoard of the Doges. I’m doing the same with IXEOS, since it’s the first book in a trilogy. I do not recommend perpetual enrollment in the program, nor do I recommend an always-free title, but some people swear by both, so you’ll need to research and make your own decisions there. Joe Konrath has some great insights into KDPS on his blog. 7. Promotion and Marketing… Again. See #5 and repeat! When it comes to “building a platform,” my suggestion is to do only those things you love. I enjoy Facebook, and while I don’t love Twitter, it’s fine. I blog on this blog and two others which aren’t writing related. That’s it. I don’t enjoy Goodreads (I find the site very difficult to use) so I don’t use it often. I joined Triberr and couldn’t figure it out. I don’t get Google+ and have no interest in Linkedin. Find what works for you and focus on those things. Leave enough time for writing! 8. Write the next book, and the next, and the next, and keep working through this list with each one. There’s a lot of heavy lifting (metaphorically speaking) in indie publishing, but the rewards are tremendous. We aren’t all Joe Konraths (yet! ), but he shows us what is possible. The focus, as writers needs to be on writing first. You’ll sell more books the more books you have available, so always keep that your first priority. As with most things, the internet is great, but it is a huge time-sucker… Stay focused on your goal and your writing, and you’ll do great!